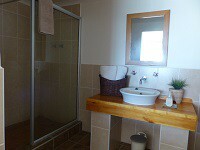 Looking for a relaxed getaway - then Tayside Guest House is just for you ! 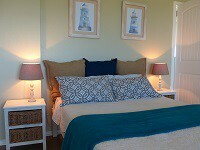 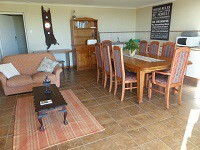 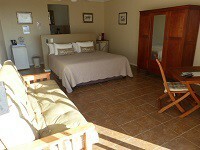 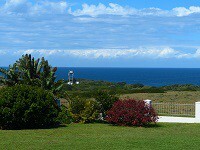 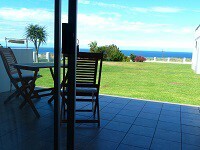 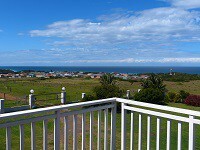 Tayside Guest House is situated in a relaxed atmosphere on a hill overlooking Kidds Beach with a full view of the sea. 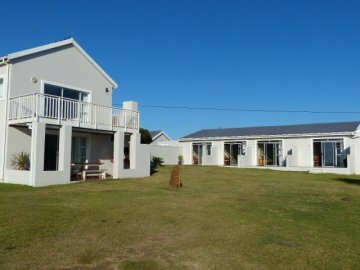 There is a large secure garden area and safe parking within a gate remoted yard.There are x4 large rooms (all en-suite and with king size beds). 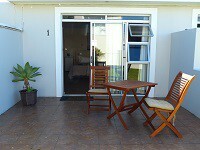 Each room has its own front porch and entrance through a sliding door. 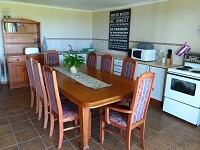 There is also an upstairs family room (en-suite with x1 double bed and x2 single beds) which is situated above the self catering kitchen/dining room.Rooms are serviced daily during the week (between 10h00 and 12h00) while prior arrangement will need to be made if you require the rooms to be serviced over week-ends or public holidays.Guests also have access to a separate communal fully-equipped kitchen/dining room and lounge.